Antonya Nelson's Bound is a frank look into the human condition, and into the ties that bind--some literally, some not. Her characters, while not wholly sympathetic, are realistic. Nelson has used her remarkable talents to make them multi-layered, three-dimensional, true to life. The broad message seems to be that we all suffer from some sort of post-traumatic stress disorder, and not every makes it out of that condition...for those who do, it can take years and still require a bit of additional shell-shock. But the deeper, more focused point Nelson seeks to make is that we need one another. The ties that bind may be painful. Obligations may sting. Requirements may hinder. But without those people and things to which we are bound, we can never get by. We can never be free. It was the coldest winter ever. - Many animals died because of the cold. The porcupines, realizing the situation, decided to group together. This way they covered and protected themselves; but the quills of each one wounded their closest companions even though they gave off heat to each other. 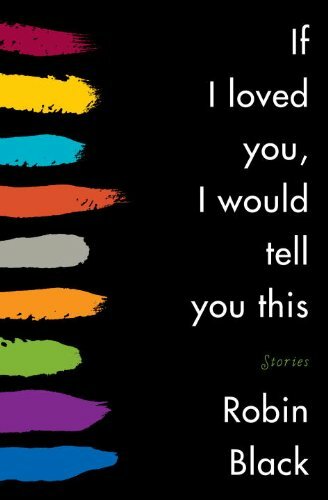 Robin Black's If I loved you, I would tell you this is about the world of sadness we create inside our heads, and about how we keep it inside. We hide it from strangers--and who do we consider to be strangers? It's about the secret lives we lead, and who we let in on the secret, and who we don't. With whom do we share our personal lives, and who do we leave alone on the other side of the fence we call love? In the story "If I Loved You", Black uses a literal fence to draw the line between who is in, and who is out. If the woman dying of cancer loved her neighbor--if she had any reason to include the--they would know her pain. And then maybe they would feel bad and would relent in their mission to make their lives impenetrable. But instead they go about their lives--we go about our lives--constantly judging those whose stories remain unshared. In "Immortalizing John Parker" the title character's wife has barely even admitted to herself that her husband is dying. 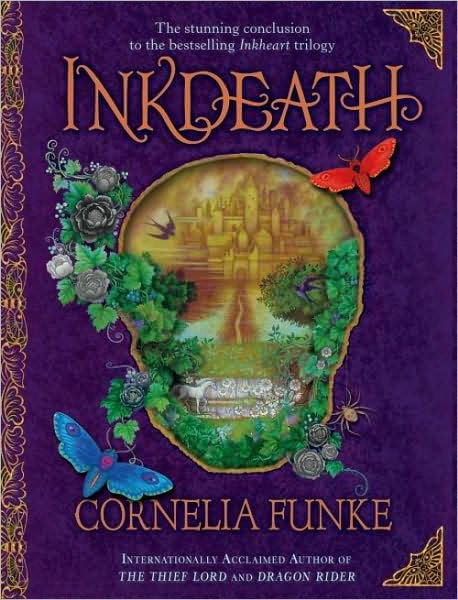 She, with her wealth and wealthy nature, has come to see even herself as a stranger, who cannot see the truth--will not be shown the truth--until the protagonist, a painter, breaks down that wall and provides a human compassion reminiscent of love, forcing Mrs. Parker to open up, and come to terms. In "A Country Where You Once Lived" father and ex-husband, Jeremy, is exiled when disaster strikes. He came into the picture, a cardboard cut-out stand-in for family, but he's no longer truly part of the family unit. He now stands on the other side of the fence, and cannot really feel sympathy for the truth, nor gain access to it. He has lost his chance to be loved. And finally, in "The History of the World" our female protagonist feels an undying guilt for her twin brother's birth defects--the one person she reveals these feelings to stops loving her, puts up a wall, and so she shells up. When that same brother dies in a car accident in which she was driving, the guilt piles up. She finds a kind of solace in helping a young woman who, though the elder has not opened up to her, shares her problems and her love. The young woman shares a beautiful thing - the flower festival - with the embittered woman, the latter finally understands how beautiful and fleeting the world is--and how open and sharing we must be, in order to survive and be loved.